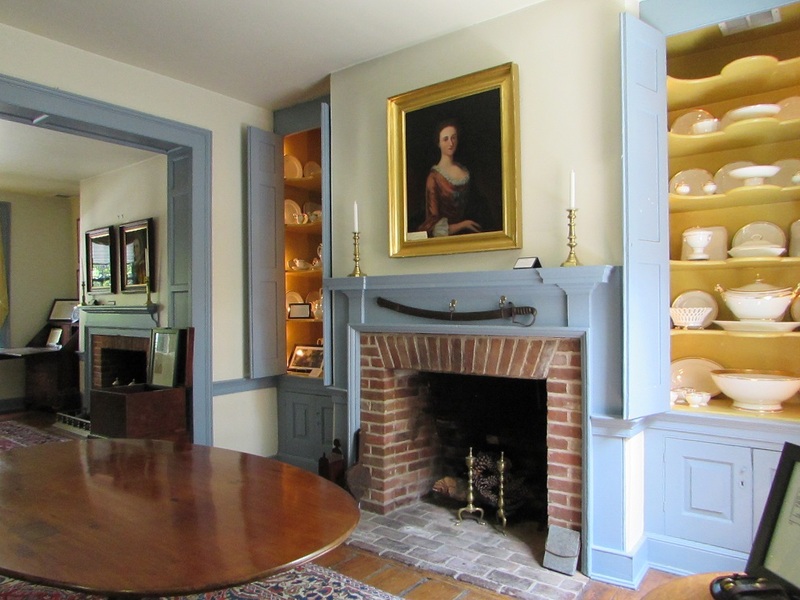 As I’ve written before: I love small house museums. Or, for that matter, small museums of any kind. I find that they have character often lacking in large, sterile environments. Quirky objects, quirky staff, quirky narratives. What’s not to love? But apparently, not everyone feels that way. There’s a vigorous debate going on amongst museum and preservation elites, about the viability of small house museums. They “tend to be small spaces with small budgets, elderly volunteers, and even older furnishings” sneers an article in the Boston Globe. But isn’t “older furnishings” what one wants in a historic museum? I’m confused. 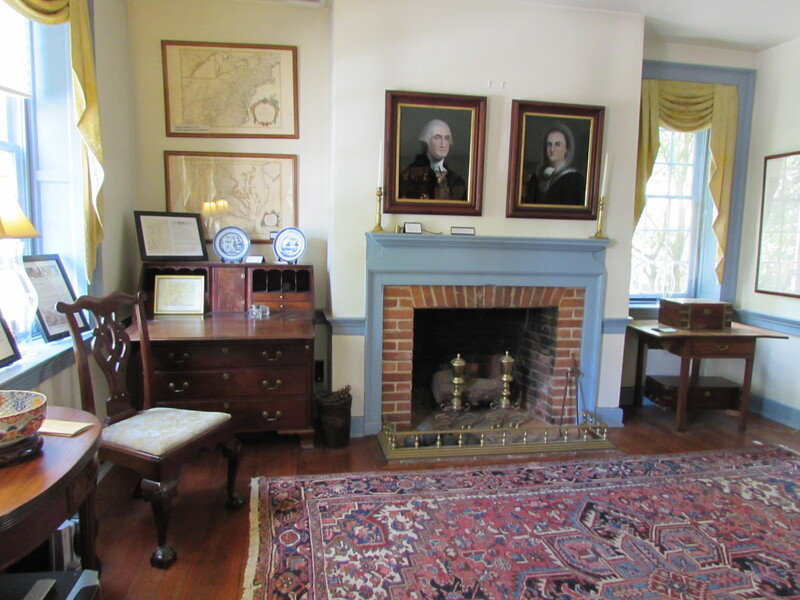 The Geddes-Piper House in Chestertown, Maryland, is a just that type of small house museum. The Geddes of Geddes-Piper was a customs inspector and Piper was a merchant. “Local legend” has it that Geddes “may” have been the owner of a ship that carried English tea, that may have been involved in a Boston Tea Party type harbor tea dump in Chestertown — a Chestertown tea party that is also local legend but probably didn’t happen. Beyond that, there was nothing of note associated with either. One or the other of them might have built the house, which is the reason both their names are now attached to it. Nothing significant happened at the house. It was just a beautiful Federal era building (no one knows exactly when it was built, but it’s late 18th century) that had fallen onto hard times when it was rescued by the Historical Society of Kent County. 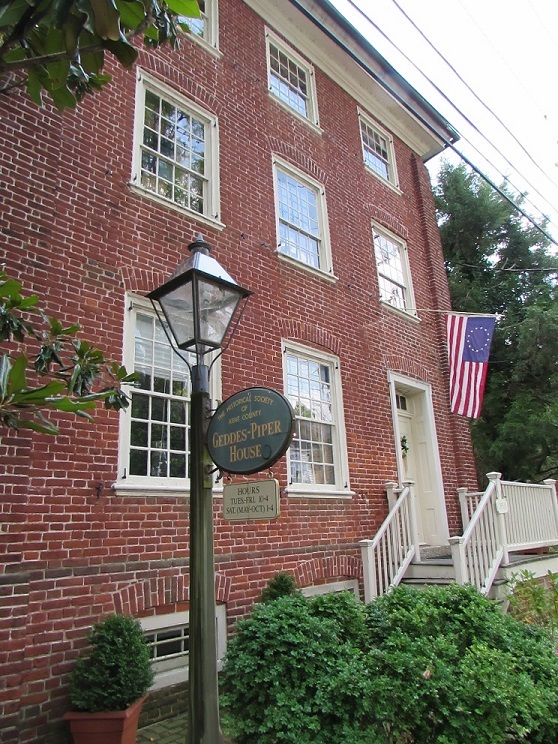 The historical society restored it and made it not only a museum, but their headquarters and put in a genealogical research library for good measure. The Ghost of Cranky Museum Critic Present (hereafter called GCMCP) would approve, since one of its criticisms is that communities would be better served if the house museums were used for some other purpose. We were met by an elderly volunteer docent (ah ha! says GCMCP), who said that we could wander the house at will but that she’d be around to answer questions. Since we were the only ones in there, she followed us anyway. The house itself is more museum than house. By that, I mean that it isn’t furnished to look as if someone lives there. It looks like a display space for collections of objects. Each room has some appropriate furniture — the dining room has a dining table and at least one bedroom had a bed. But mostly, it was filled with old objects donated by locals. Their most notable collection was their china and teapots, the earliest dating back to the 17th century. The painting of George and Martha, in the photo of the parlor, is a reverse glass painting by William Prior, circa 1840. I thought it was interesting because I would never have recognized Martha if she weren’t hanging next to George. 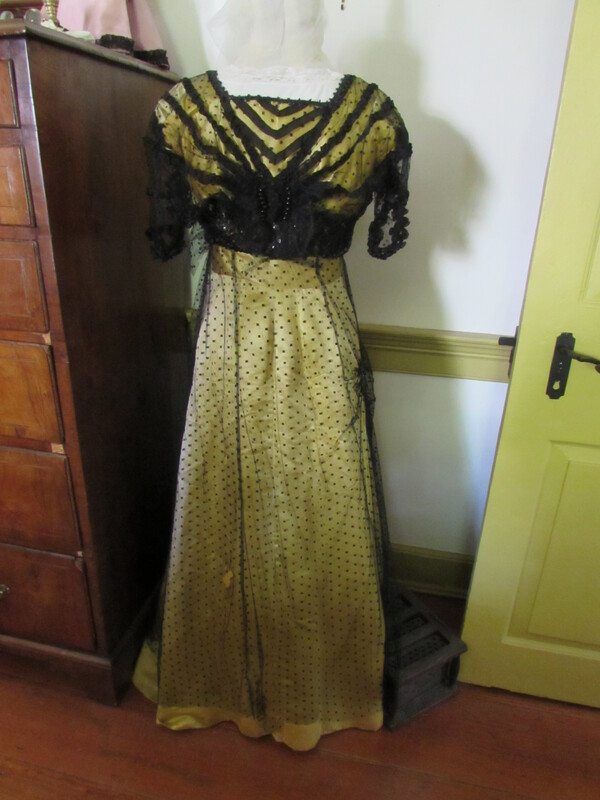 Upstairs, the bedrooms and halls were stuffed with random objects of varying vintage and several of the objects that had no identifying description (the GCSMC raises its eyebrows). 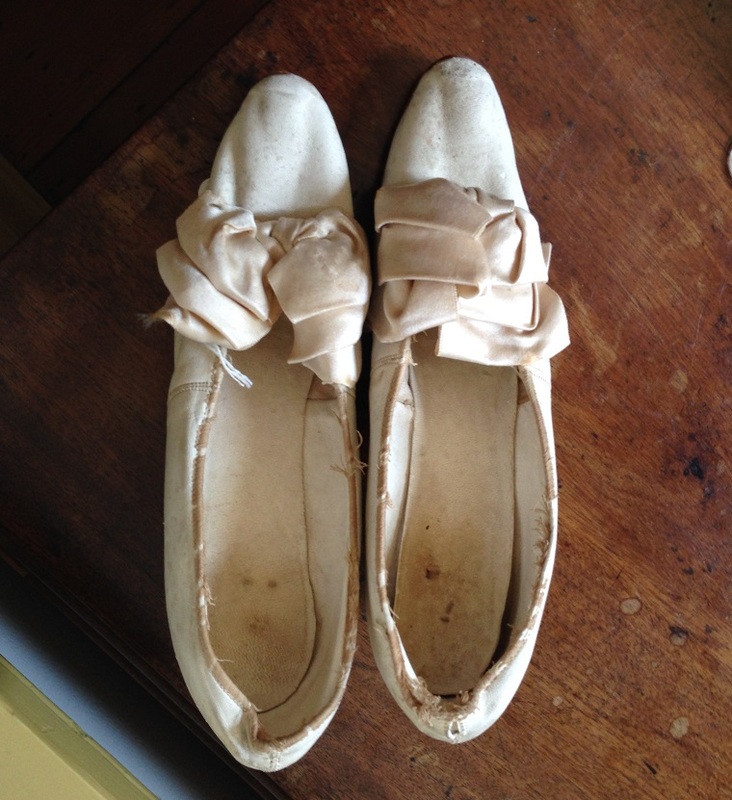 “Is there anything you can tell me about the shoes upstairs?” I asked the volunteer, of shoes, sitting on a table in one of the bedrooms, with no label. She could not. She flipped through a binder that she was carrying but … nothing. We were going down the stairs when we spotted a Ouija board — not particularly old — in an alcove. Why was it there? Because the man who filed the first patent for the game was from the area. Okay, so now GCSMC is laughing. Oh well. You can’t win them all. Gallery | This entry was posted in Maryland and tagged Elijah Bond, James Piper, William Geddes. Bookmark the permalink. What a Gem of a house! I am betting GCSMC is one of those city snobs with no interest in social history. As someone with a serious love for historic preservation, those folks are scary! Sleek modern museums have their place, but they don’t give me that visceral ‘history fix’ that visiting an old house gives me. And I give extra points for museum docents with individuality that comes with experience – and interest in their subject. We’ll have to go to Chestertown the next time you’re here. It’s a beautiful little place, with so much history.